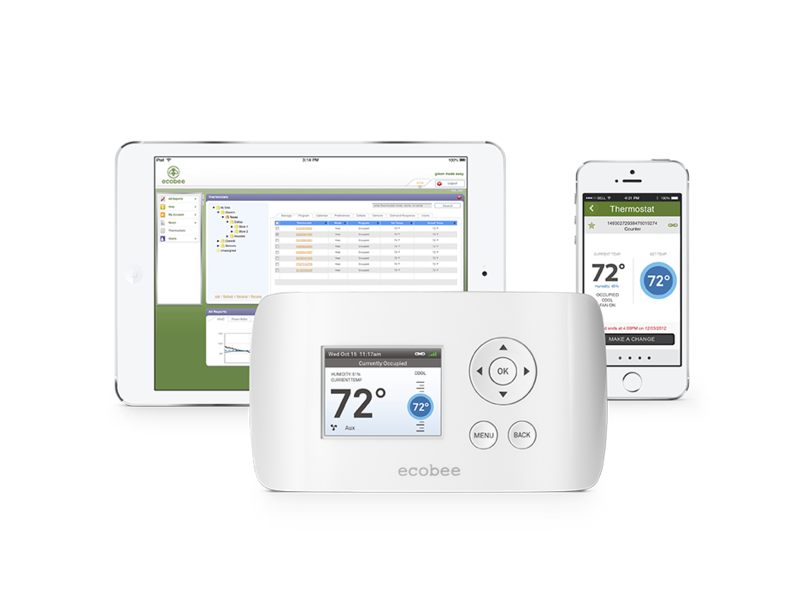 There are a lot of Smart Thermostat Options in 2018 for your business, and this post details why the Ecobee EMS SI is the best option in the Chicagoland territory in 2018. It comes down to one function of the EMS-Si - zigbee enabled. In 2011, the Illinois legislature passed a law that will modernize our grid, called the Energy Infrastructure Modernization Act. This law set aside $2.6 billion to install smart meters throughout Illinois, both in residential and commercial applications. After five years, ComEd publicly states that it has avoided 7.6 million outages and generated $1.4 billion in societal savings. Whether you agree with this or not, smart meters are here to stay. Polar Vortex and Smart Thermostats? The Zigbee enabled functionality of the EMS Si allows the utility to take control directly of the thermostat from the smart meter, which has a lot of societal benefits. This means that brownouts can be avoided, as the utility can preserve the integrity of the grid on days that are incredibly hot or cold (remember the polar vortex?). At this time, the EMS Si is the only smart meter that has zigbee functionality, and therefore, the only smart thermostat that is eligible for the $300 of incentives in the Small Business Energy Savings program. While more expensive than any other smart thermostat on the market, the product has great functionality and after the incredible incentive, can be installed for as little as $75 when combined with the People's Gas and North Shore Gas $100 rebate (note there is no Nicor incentive for business as of the time of this publication). This commercial unit is able to control higher-end commercial units that can control multi-phase heating and cooling. It can also include a power extender, which can solve the common issue of a lack of power availability to a smart thermostat. It can be used by a desktop or smartphone app, enabling control of the business heating and cooling from wherever the business owner is (think saving gas usage when lying on a beach in Tahiti). The unit, like other smart thermostats, enables a high 7-day programmability, occupancy sensors, learning behaviors, as well as great warranty and easy operations. We have found a great deal of satisfaction from customers after installation of the Ecobee EMS Si, and continue to install it in 2018 after hundreds of installations in 2017. It can take some support from tech on your first few installations, but after the learning curve is a very easy product to install. There are some applications where the power extender will not work, such as in multiple rooftop RTUs at the same location. However, in general, it is a great product with great customer satisfaction in a very competitive market. Due to the available $300 Small Business Energy Savings incentives, as well as the $100 People's Gas and North Shore Gas incentives, the EMS Si is the best option for commercial installations in Illinois in 2018. Interested in an Ecobee for your business? Request a free energy assessment with us to see where your total savings are. We provide free installation to our customers! Previous What is a Verde Certified Company?